Undoubtedly, the Super Bowl was a boon for the local betting market. With several major betting events on the horizon, including March Madness, the NBA playoffs, the Kentucky Derby and The Masters, the question remains as to whether PA online sports betting will be up and running by some or all of those. Last summer, state officials said they were targeting the start of football season for physical sportsbook locations, and the end of the year for online betting. Both of those deadlines were missed— the state has generally been running about two months behind on their stated targets, which would imply that mobile betting will get the green light soon. Representatives from Pennsylvania operators vary in their projections, with some anticipating a February launch, and others targeting sometime in April. The difference seems to hinge on whether the state will allow for a rolling start, as was the case in New Jersey, or a shotgun starting gate approach that would hold apps back until several are ready to go. Further complicating matters is the recent Department of Justice opinion expanding the scope of the Wire Act, an old-timey law that was designed to prevent cross-state betting with mobsters and illegal bookies. Legal sports betting was already operating under the scope of the law (the reason why you can only be in New Jersey, for example), but the opinion is creating some uncertainty, particularly as it relates to payment processing and even the location of servers. The opinion is thought to have been, uh, nudged along by longtime casino magnate and Donald Trump friend Sheldon Adelson, who is against any form of online betting. Already, New Jersey and Pennsylvania have pushed back against the opinion. There will likely be more clarity in the coming months. Either way, online sports betting is expected to proceed in PA, albeit at a more measured pace. Among the first apps out of the gate will be SugarHouse Sportsbook with their PlaySugarHouse app (full review here). Parent company Rush Street Gaming had the mobile gambling app on the market in New Jersey, where for some time online slot and other casino games have been allowed. 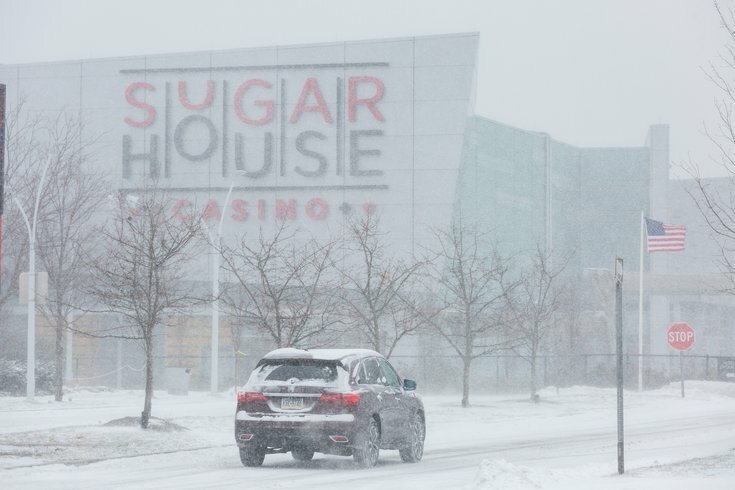 When sports betting went live there this summer, SugarHouse was the second to launch an online sportsbook, behind DraftKings, adding it to their already popular app. It would seem that with both a license in Pennsylvania and an established brand name it will be a relatively easy port to make their app available in Pennsylvania. Parx, too, has plans for mobile betting and has already sort of dipped their toe into it and teased the interface of an app when they showed off their Bet Slip Builder experience, which allows bettors to build their bet ticket on their phone and simply scan it at a kiosk in the casino’s physical sportsbook. The picture is a little less clear for DraftKings and FanDuel, which have dominated in New Jersey. The wrinkle comes in the way in which brands like DraftKings and FanDuel are required to partner with licensed operators. In New Jersey, each operator can have up to three partners. So, for example, Resorts backs both the DraftKings and BetStars apps. In PA, however, each operator is allowed only one partner to “skin” their app. DraftKings does not yet have a partner, and with the owners of SugarHouse and Parx choosing to brand their own apps, the options are somewhat limited. FanDuel has joined with Valley Forge Casino Resort and will be the public facing brand for their sportsbook, both physical and online. Still, the retail location likely won’t open for another month or two, meaning the online app will trail behind since the state has said all along it prefers to open physical locations before their online counterparts. So this all means that legal online betting is coming to Pennsylvania— and probably soon. Right now operators seem to be waiting on the state. For more on the legal sports betting market, you can head on over to CrossingBroad.com.